Award-winning journalist, Steve Osunsami ’93 JOURN, has been nominated for a National Emmy award, in the category Best Story in a Regular Scheduled Newscast, for reporting on the police shooting of Walter Scott in South Carolina. 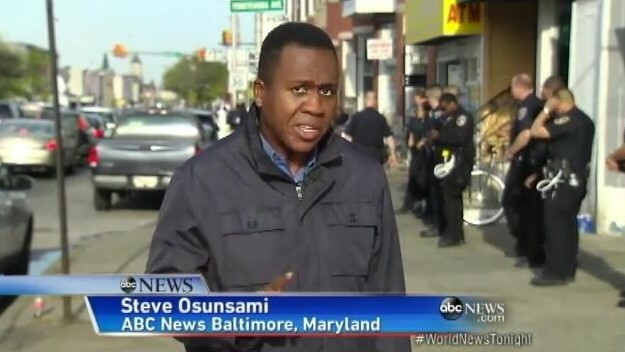 Osunsami is a correspondent for ABC News and is based in Atlanta. He contributes reports to a number of ABC News broadcasts and platforms. In June, ABC News received two Edward R. Murrow awards. The first, for Overall Excellence, included Osunsami’s reporting on the Scott shooting. The second was awarded for Breaking News from Baltimore related to the death of Freddie Grey, Jr. Osunsami was a correspondent on this report as well.